Earlier this week, The Pokemon Company announced it would open the world’s first and only permanent Pokemon Center outside Japan in Singapore’s Jewel Changi Airport next March. In our original report, we mentioned that Pokemon Center Singapore will be operated by a local Singapore retailer, with blessings from The Pokemon Company. Instead, it would be fully owned and operated by The Pokemon Company. Fortunately, that piece of information has turn out to be untrue, and we will explain why. As early as 2017, NintendoSoup learned there were plans to open a permanent Pokemon Center in Singapore in 2018. But back then The Pokemon Company was looking for a local company based in Singapore to operate the store. The company that they have found, a local retailer which we cannot name, was very receptive to the idea. It was described by one of our sources as “a gift from heaven”. Both companies scouted for a location and tentatively decided on Changi Airport. We heard there were initially several objections to that location from the local retailer, due to some concerns. We speculate one of the concerns was the high cost of rental. Despite the partnership, things were never meant to be. When it was time to sign the agreement, The Pokemon Company imposed many demands and requests on the local company, which made it hard for the local retailer to carry out their obligations for Pokemon Center Singapore. So the project had to be called off. Although the partnership was called off, it did not deter The Pokemon Company from their plans to open Pokemon Center Singapore. In 2018, The Pokemon Company opened an official subsidiary in Singapore, the very first wholly owned Pokemon subsidiary in Southeast Asia. The purpose of this subsidiary is to operate the store. In order to make sure Pokemon Center Singapore appeals to the local audience while maintaining its high standard, The Pokemon Company hired Koki Matsuda, a successful Japanese Singaporean businessman, to be one of the subsidiary’s directors. Koki Matsuda is the managing director of Kormars Group, which operates Japanese restaurants such as Ramen Champion and the popular barber chain EC House. So, what does this all mean for fans and customers? 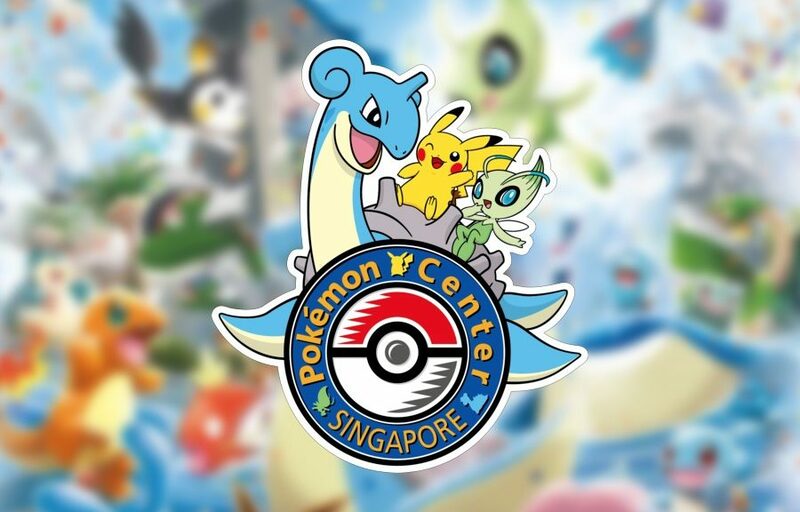 Given that The Pokemon Company has full control of Pokemon Center Singapore, we can expect Pokemon Center Singapore to match the high standards of all Pokemon Center locations in Japan. We are also expecting the store to be about the same size as the upcoming Pokemon Center Yokohama Renewal. With the middleman out of the picture, Pokemon Center Singapore will now be able to offer merchandise at prices closer to Japan. We now expect products offered at Pokemon Center Singapore to cost at most 20% more than Japan (inclusive of consumption/sales tax), which is honestly not too bad given the high cost of rental in Singapore. After all, The Pokemon Company’s goal for Pokemon Center is to spread the Pokemon brand and make it a home for Pokemon fans living near them. Despite the high volume of sales Pokemon Centers in Japan generate annually, Pokemon Center K.K. merely made USD930,000 in 2017.